Wilco had the most impressive four-album run of any artist in my collection (perhaps rivaled only by its parent band, Uncle Tupelo). From 1996's Being There to 2004's A Ghost Is Born, they established themselves as an act standing at the vanguard of American indie rock. Additionally, their soap-operatic storyline made them an interesting act to follow. At times, members were dropped like old parts and replaced with shiny new ones (Kotche for Coomer, Bach for Johnston). The band weathered a contentious relationship with its label until the bottom fell out in 2001. Jeff Tweedy spent time in drug rehab to kick painkillers. But after that, the skies cleared for a band who'd paid its dues. The line-up fell into place and hasn't changed since. They now routinely sell out world tours and have been anointed 'indie rock royalty' by most alternative media. And since the tumult subsided, the band has released two studio LPs. 2007's Sky Blue Sky was a worthy effort, showcasing the band's unadorned side. But it wasn't consistent, weakened by too many lyrical stretches and a few tracks that didn't quite belong. Last year's Wilco (the Album) continued the trend: It featured some strong tracks but the flow was upset by few adult-contempo whiffs that were clearly not Wilco's strongest work (I'm looking at you, "Sonny Feeling" and "You And I"). I don't really consider any one of their albums overinflated. Sure, both SBS and W(TA) could have used some downsizing, but the results wouldn't fill a record. They'd be more like half-records. So then I thought, "Hey, two half-records is a whole record!" Swelling with pride, I set into compressing the two half albums into one latter-era classic. "Either Way" – I'd do away with "Either Way", which is a track I like but it seems a bit too harmless to lead off a Wilco record. "You Are My Face" – Perhaps the best Wilco song from either of the last two albums, it stays. "Impossible Germany" - It's not too thought-provoking, but it's fascinating enough lyrically and musically to find its way on an album. "Sky Blue Sky" – Hang on to this one, a a latter day "Far Far Away" that features that hushed, timeworn vocal delivery that Tweedy is unfortunately abandoning as of late. "Side with the Seeds" – Another new classic, so to speak. "Shake It Off" – Here's a song I often overlook, but it has that somewhat deviant quality that the band wears so well. "Please Be Patient with Me" – I'd hang on to it. 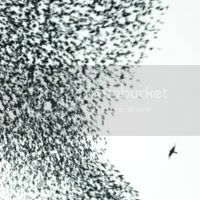 It's got an off-ballast feel to it, a defining trait of the best Wilco tracks. "Hate It Here" – I'd lose this one quicker than a you can say "Tweedy on a Tractor". "Leave Me (Like You Found Me)" – This one's a little too warm and fuzzy. I'd save it for the inevitable Tweedy solo album. "Walken" – I like "Walken" in its live form, but I'd dismiss it for being too "aw-shucks" for the band's sake. I realize how unfair and arbitrary that must seem, but I do have an endgame here! "What Light" – I find this one a little trite, and thus I'd strike it. "On and On and On" - I seem to remember hearing this one was written for Tweedy's father, on the topic of his mother's death. With that in mind I feel like a heel for suggesting its omission; but again, that's why we're dealing in hypotheticals. "Wilco (The Song)" – I like this song more than many fans I've talked to, but I'd probably omit it in the interest of downplaying the self-referential aspect. "Deeper Down" - Quality track, I'd hang on to it even if it didn't really land in a live setting. "One Wing" – Here's a song I feel could have benefited immensely from Jay Bennett's arrangement; I feel he would have achieved a less polished and more ominous aesthetic. Still, it's a good enough song to warrant keeping. "Bull Black Nova" – Definite keeper, they nailed the feeling of unraveling nerves of a fleeing killer. "You and I" – An unfortunately squandered opportunity to make use of Feist's versatile vocal ability, it would be left on the cutting room floor. 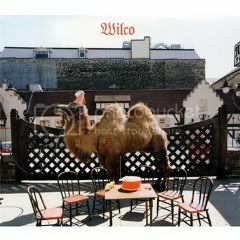 "You Never Know" – I know it was Wilco's feelgood hit from this album, but I couldn't get into it. Too much of a George Harrison lift. Leaving it off. "Country Disappeared" – One of the best songs on the album, deserves its spot. "Solitaire" – Great song, and it's a shame I tend to forget about it. "I'll Fight" – I think the song could use some whittling as far as the instrumentation is concerned. It could have easily resembled something along the lines of "How to Fight Loneliness" without the irritating organ hits throughout. But overall it's a well-crafted tune that makes the cut. "Sonny Feeling" – Corny, overblown, gone. "Everlasting Everything" - Unfortunately, I think this is another one that's a little too overdone in the production department for its own good. I especially don't care for the chorus here. "Please Be Patient With Me"
Were such a marriage to occur, there would be overarching issues that need addressing, such as remastering and streamlining production and arrangements. But from a base, structure-of-song approach, I think the above focuses on the strongest qualities of post-Bennett Wilco. Simultaneously, it strips them of the dad-rock histrionics that have served as a go-to for detractors and disgruntled fans alike. In summation, it seems my approach was to lose the beaming feelgood songs and only retain the tracks that are unsettling and/or contemplative. I'm sorry, Wilco, but you can't release off-kilter albums like Yankee Hotel Foxtrot and A Ghost Is Born and then just expect me to embrace "Hate It Here".